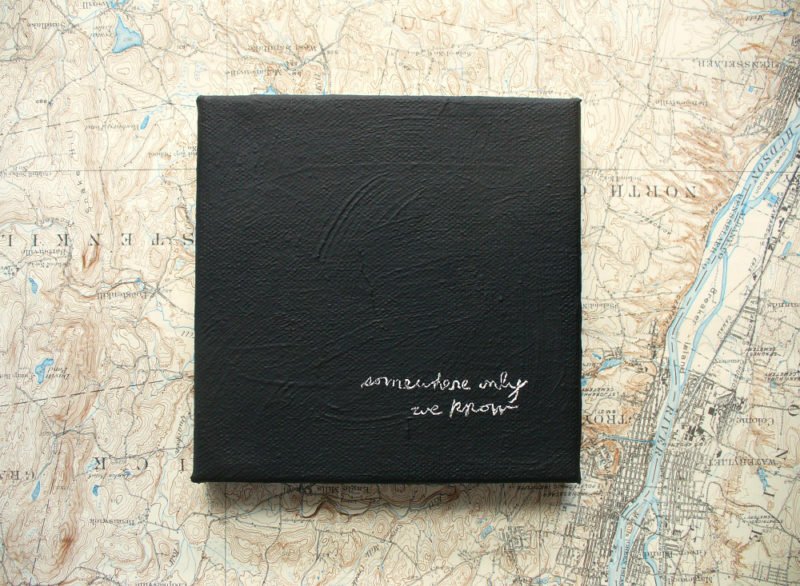 This subtle, minimalist painting has a textured surface and is painted with a deep black. 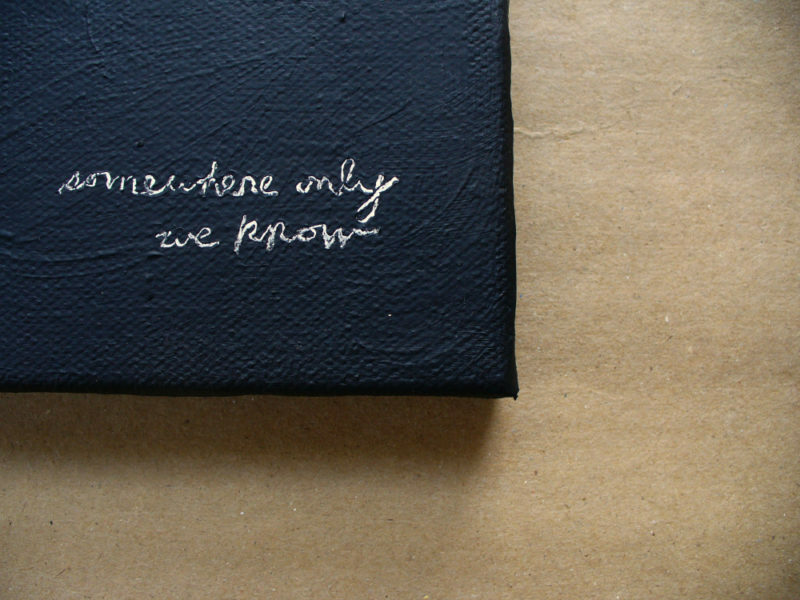 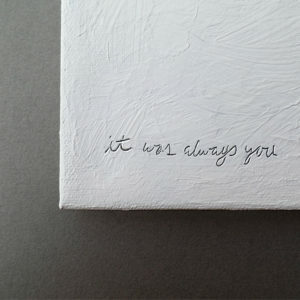 The words – somewhere only we know – are imperfectly scratched into the canvas. 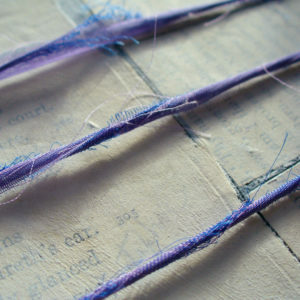 The small size and flawed etching of the words draw you in for a closer look and more intimate experience of the words. 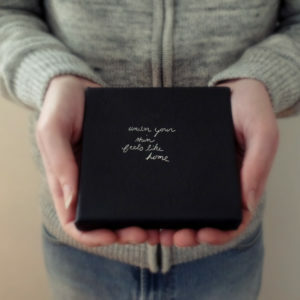 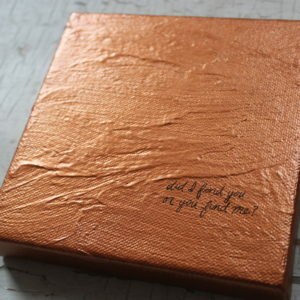 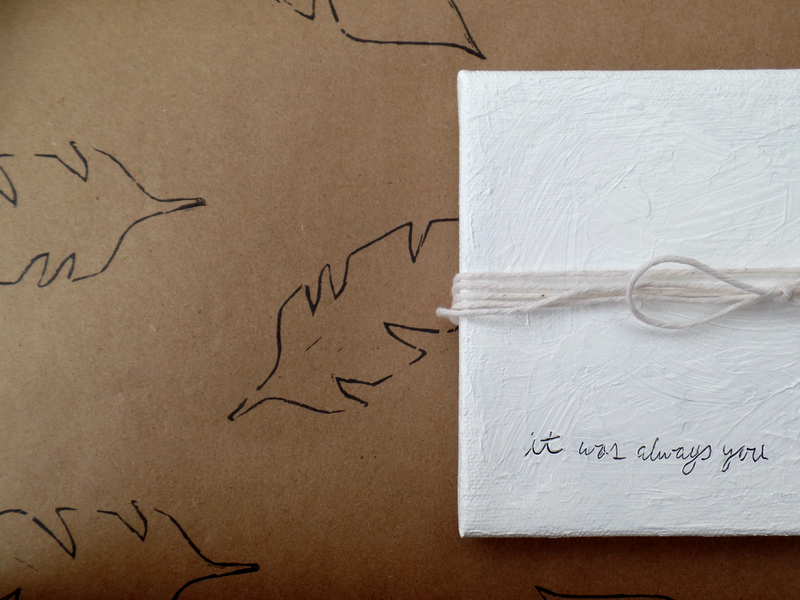 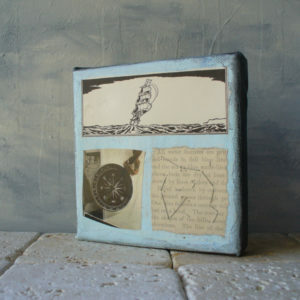 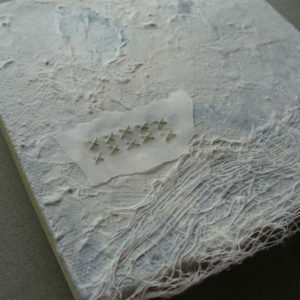 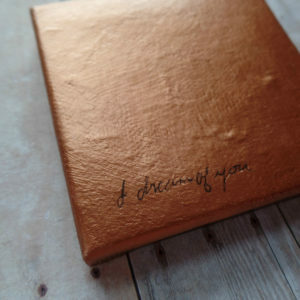 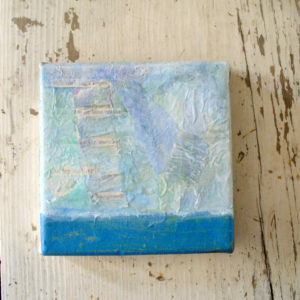 It will arrive carefully packaged and wrapped in hand printed paper with a feather pattern, as shown in the last photo.